Free analytics provider GameAnalytics has announced a partnership with Corona Labs to offer developers using the Corona SDK a free analytics plugin for monitoring player activity in their apps. The partnership was formed to helped developers better understand player behavior, and then make changes in response to user statistics. The Corona SDK allows developers to build and publish cross-platform apps with a single code base. The GameAnalytics plugin, meanwhile, will allow developers to track system information, average and critical FPS, runtime errors, storyboard scene changes and more, with memory warnings also available for iOS apps. “GameAnalytics is proud to announce this partnership with Corona Labs to offer a premium solution to mobile developers looking to gain a better knowledge of their player base and player activity,” said Morten E. Wulff, CEO of GameAnalytics. “We pride ourselves on thorough research into all of our potential partners and strongly believe in the great work that Corona Labs is doing in advancing the games industry and providing easy and affordable solutions to indies”. 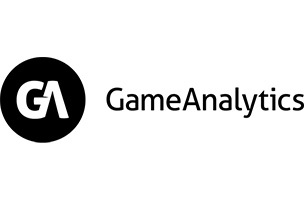 Founded in 2012, GameAnalytics supports almost 5,000 games and has tracked over 150 million players since the launch of its analytics service in January 2013. The company released the GameAnalytics SDK for Unity last November. More information on the GameAnalytics and Corona partnership can be found on GameAnalytics’ website.